Known as the party hub of Rio de Janeiro, Lapa is a thriving nightlife spot known for its Carnival-style street parties, boisterous bars, and crowded clubs that pump out Brazilian music from dusk until dawn. The whole neighborhood was once a rundown, edgy part of town yet has transformed into Rio’s after-hours hangout spot where hordes of people let go and get down to party. 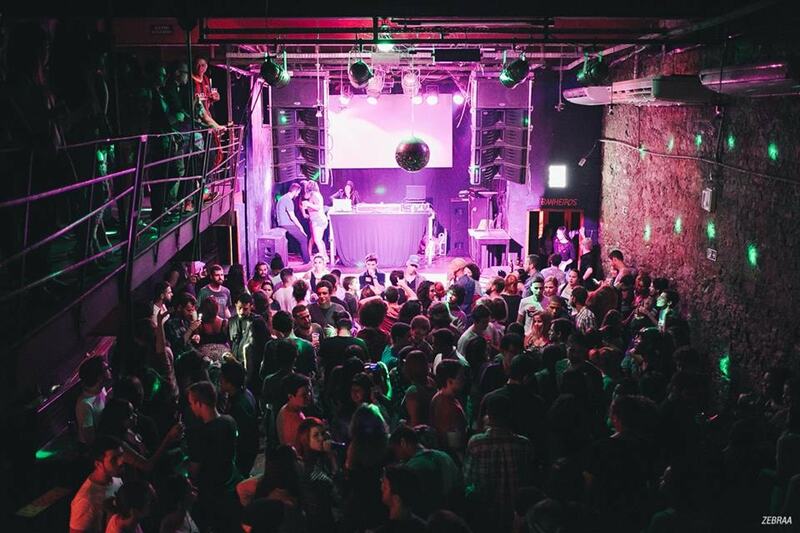 Here are some of Lapa’s best nightclubs. Looks are deceiving at Lapa 40 graus with its narrow, unassuming facade which magically opens into three large dance floors, each with their own type of music and atmosphere, although the predominant soundtrack is sertanejo, a Brazilian genre typical from the southern and western countryside. The live music brings an electric energy to the place which attracts tourists alongside locals. For chillout, head to the lounge area complete with bars and pool tables. A bar-meets-club inside a large reformed mansion, Carioca da Gema simultaneously combines the historical remains of Lapa’s past with the modernity that make the area so beloved today. For live music, Carioca da Gema hits the spot with performances every night from choro and samba to sertanejo and MPB (Brazilian pop music) from some of Rio’s best and most established local musicians. Arrive early for chit-chat and excellent Brazilian food before the music starts as once the band begins to play, it’s all about sipping on potent cocktails and allowing yourself to get swept along with the compelling rhythms. From the outside alone, you’d be forgiven for thinking this is just the remains of an aged mansion yet the steady stream of people flowing in through the nondescript front door hints of something more exciting beyond. The Clube dos Democráticos is one of the best clubs in the area for samba music, attracting mostly locals who come to bust out some impressive samba footwork. However, don’t let that intimidate you if you feel your samba is not up to scratch; go there to people-watch, enjoy seductive live music, and enjoy smooth, traditional caipirinhas. Leviano Bar is spread out over three floors which each play different genres of Brazilian music, usually samba, forró, and MPB, although some nights has salsa too. 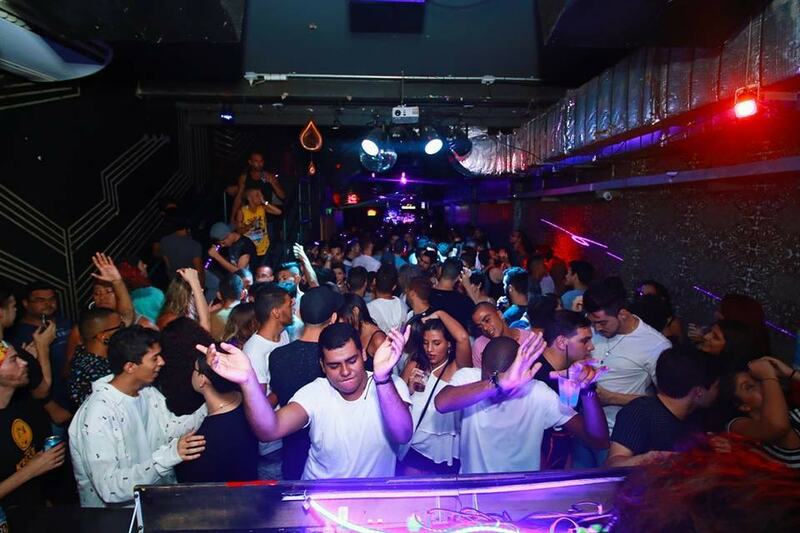 It’s the kind of club that inspires dancing, not the drunken shuffle sort, but a mix of those who really know their stuff and those gingerly testing out the fast-paced footwork required for Brazilian beats. Rather than being pretentious though, it is light-hearted, fun, and social with the live music amplifying the upbeat atmosphere. Its themed nights are especially popular among students although the excellent daily promotions on drinks appeal to all age ranges. With live music and its mixed soundtrack of both Brazilian classics and pop chart hits, the music has a wide range of appeal which tends to reel in a large crowd, often exceeding the capacity of the small venue. Despite the tightly packed crowds and long queues, potent cocktails, two-for-ones, and extravagant shows set the scene for an energetic Friday night out. La Paz is one of the more alternative clubs in Lapa thanks to its unique soundtrack of electronic music, hip-hop, rap, and rock, breaking away from the Brazilian genre mold that grips the rest of the venues in the area. A cool, hip crowd head to La Paz to enjoy some of the best underground DJs and rappers in Rio and the liberal, cozy atmosphere the venue exudes. The terrace upstairs offers a chillout spot to socialize and chat before heading back down to the grungy dancefloors. The king of the clubs in Lapa, Rio Scenarium is the cream of the crop when it comes to Rio nightlife. The multi-floor venue is centered around the main stage so party-goers on every floor can peek over the edge of the balconies to check out the main band below. However, each floor has its own live performance that switches between all the Brazilian genres from samba and forró to sertanejo, Brazilian rock, and MPB. There is also a dancefloor that veers off from the main bar and plays modern international hits. Start the night here early for classic Brazilian food and a mean caipirinha before joining the throngs and partying until dawn.